Low Cost Web Agency provides you its expertise and advises regarding your Website Header Design. 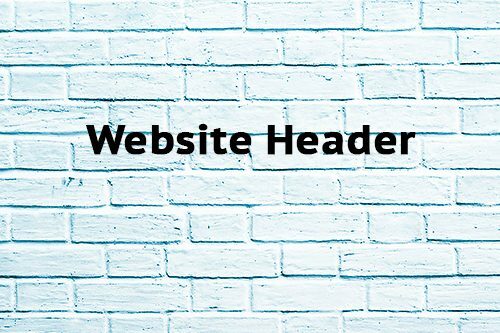 Your website header is placed at the top position of your website. It introduces your website visitors with your activity. Based on the head part, your visitor will judge if he/she is at the right place or not and within few seconds will decide to further stay on your website or leave it! A Professional Website header is really a Key success factor to improve your conversion rate. Let’s brand your product, your business or even a person which will persuade your visitor to continue his visit! Your Website header is the best way to communicate very quick your vision, your values, your product. Your website header must be updated often and be exclusive for one or a few group of pages. Seeing always the same Website header for months and years will result as boring for your customers. Your customers are most important in your business so you must give them the maximum respect enhancing their user experience on your website! Your goal is to always transform your visitors into customers? That starts from your website header! We will provide you all our expertise to advise you about your website header design. Our senior designers guaranties you the best result at low price. You can decide if you want the source files of your website header or you just need the Web version. You can ask us to upload your new cover directly on your website. Many options are available to fit your needs and allow you to get the price offer which gives you satisfaction. It’s Low Cost Web Agency motto. We want to provide everybody to get a professional image on the web without spending a lot of money.